PESHAWAR -- New Khyber Pakhtunkhwa (KP) Inspector General of Police (IGP) Salahuddin Khan Mehsud has vowed to continue the war against terror with zeal and spirit. Prime Minister Mian Muhammad Nawaz Sharif March 30 appointed Mehsud to take over the police force in the troubled province. He replaces former IGP Nasir Khan Durrani, who retired from service March 16. Durrani received credit for reforming the KP Police and for helping curb terrorism in KP. "Salahuddin Mehsud is an officer who has all the leadership qualities to lead the [KP] Police in any challenging situation," Durrani, who headed the police force for three and a half years, told Pakistan Forward. "He is a talented officer who will lead the KP Police well throughout," he said. Mehsud, a grade 21 officer, previously led the KP Counter Terrorism Department for more than two years and has served in the Police Service of Pakistan since 1989. "The KP Police have sacrificed 1,500 of their men during the past ten years in the fight against terrorism," Mehsud told Pakistan Forward April 3 after his first news conference as IGP at his office. The force is committed to fight terrorism with more professional spirit to restore peace in the province and the country, he said. "The police have achieved innumerable successes against the terrorists during the past few years," he said. "The army and Frontier Corps successfully conducted operations against terrorists in the tribal areas, while the police remained engaged as a front-line force in KP," said Mehsud, who knows firsthand the grief of losing two children to terrorism. A bombing in Peshawar in December 1995 killed 35 people, including two of his sons. The newly passed KP Police Act 2017 will be implemented in letter and spirit, he vowed at his first news conference. "The dispute resolution councils, the police assistance hotlines, police access service, newly formed schools and safety commissions will be further strengthened," he said. He warned that he would not compromise in punishing corrupt officers, adding that those who perform well will be duly rewarded. "The force has orders to take special care of the family members of those who died with their boots on," he said. In an effort to boost relations between police and the general public, he said, officers have strict orders to show respect to anybody entering a police station or passing through a check-point. 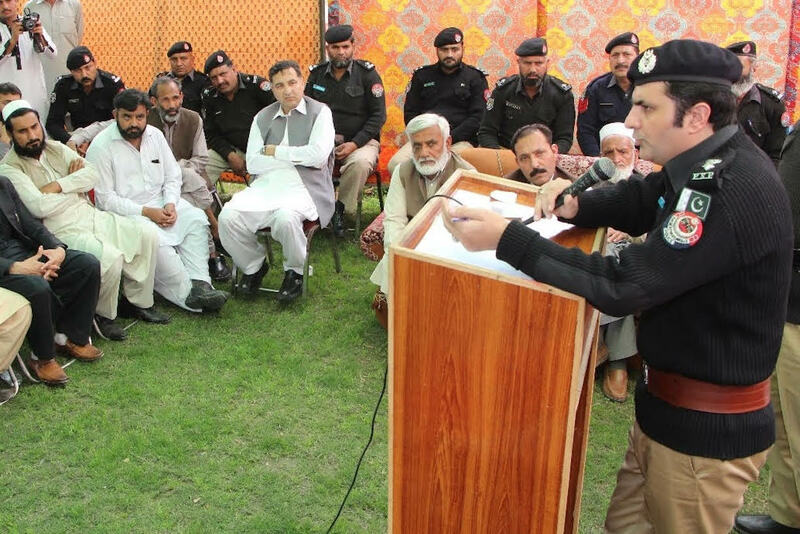 "There will be better co-ordination with other government departments for further upgrading the performance of the police force," said Mehsud. The new police chief will continue the policies of his predecessor and will remain committed to police reform, said senior police officers and security analysts who spoke to Pakistan Forward. 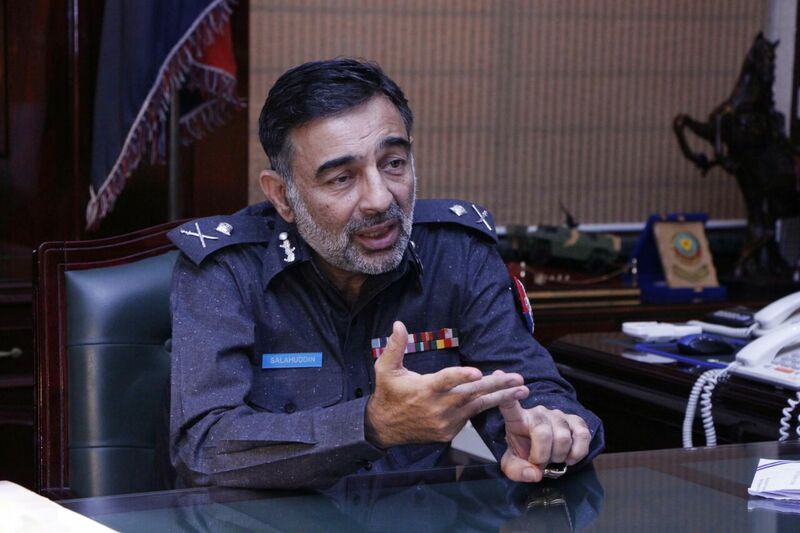 "Analysis of crimes and terrorism, tracing and working out of high-profile and other cases will improve with the new police chief," Capital City Police Officer for Peshawar Mohammad Tahir told Pakistan Forward, adding that Mehsud has a reputation of being a "clean and committed" officer. "[Mehsud] has been actively heading the [KP] Counter Terrorism Department for a long time, and he knows well what the force needs to do for peace," Qaisar Khan, general secretary of the Peshawar-based Crimes and Terrorism Journalists Forum, told Pakistan Forward. The new IGP will likely continue police reforms that have helped the public gain access to top police management if they have any complaint, Khan said. Zulfiqar Ahmad, a resident of Peshawar, said he hopes the new IGP will continue to crack down on corruption within the police and to improve treatment of the public at police stations. "The attitude of the police force has improved greatly during the past few years," he told Pakistan Forward. "I hope the new administration will further improve it." 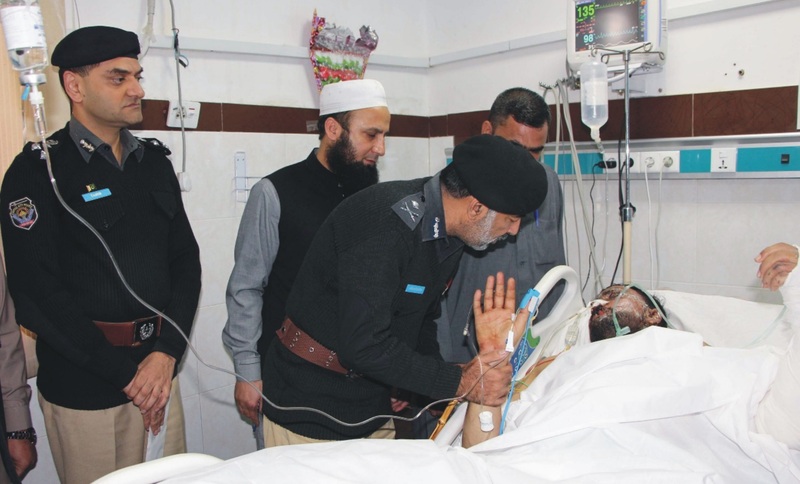 KP Inspector General of Police Salahuddin Khan Mehsud visited those wounded in a deadly suicide bombing on November 24. More than 1,300 suspected militants have been arrested in Khyber Pakhtunkhwa in the past few years. Thousands of officers have faced punitive actions over corruption allegations over the past few years, significantly improving performance and reducing misconduct, officials say.